Johnny and his team would like to offer a complimentary welcome glass of Cava when booking a table for lunch or dinner. Just pop MallorcanTonic FREE CAVA in the subject box. Dublin-born Johnny Moloney renowned Chef/Owner arrived in Mallorca at the turn of the Millennium bringing with him a wealth of experience from country house hotels in Ireland and restaurant kitchens along the eastern seaboard of America. 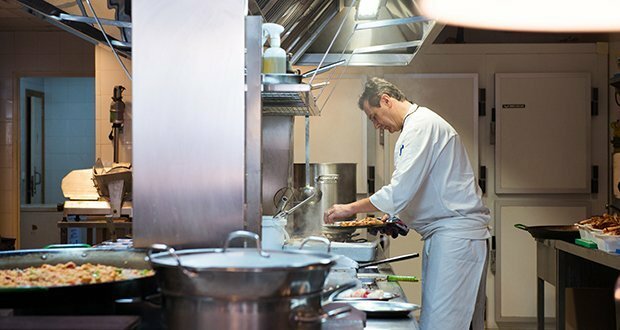 After nine wonderful years in the kitchen of the Arabella Sheraton, he decided to move to become Head Chef at Can Eduardo. Established in 1943 by Antonio Carrasco Can Eduardo is one of the oldest restaurants in Palma. 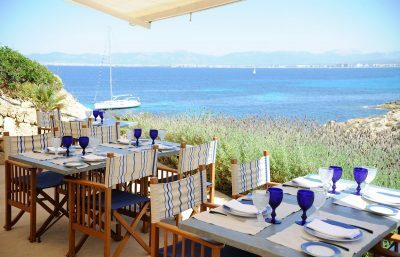 It enjoys a unique location both for the freshest fish on the island as well as two of the best views on the island, the Bay of Palma and the stunning Palma Cathedral. 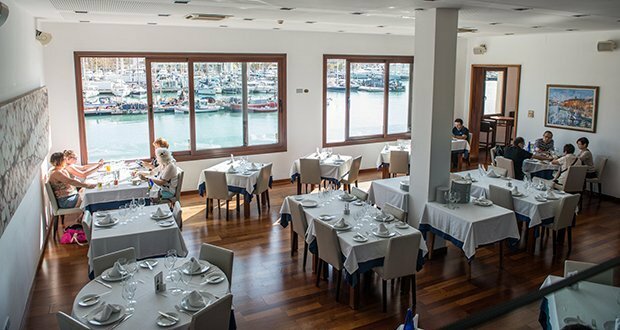 Johnny was interviewed at his beautiful quayside restaurant above the Llotja des Peix in Palma. Did you always eat your veggies? Yes I always ate everything. As one of five kids, it was stretch or starve! At 14 I finished school for the summer and was sent to work in the Killiney Court Hotel in Dublin, for Seamus McNally as a holiday job. I loved it so much, I ended up there every school holiday and even weekends until I reached 16 and was old enough to go to catering college in Dublin. My Granny´s Rhubarb Tart. Her oven always caramelized the sugar on top just right. At Restaurant na Mara in Dún Laoghaire outside Dublin where I was sent for my work experience. There was a gang of us and, when we weren’t working, we were jumping into the sea at ´the Forty Foot´ (a famous cliff jump) at Sandycove. Fabulous! How do you get your food inspiration? 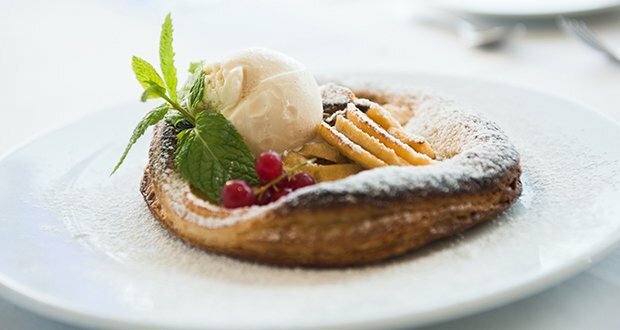 I like to do as little as possible to the freshest of ingredients we have here and concentrate rather on ensuring everything is cooked to perfection. Favourite kitchen equipment or gadget? Has to be the Thermomix and the microplane, each making a chef´s life a bit easier. Marco Pierre White had a big influence in the 1990´s when I was training and Alistair Little. First reaction ´don´t!´, but more seriously, travel as much as you can and eat as much as you can. Best cooking tip for a novice just getting into the business? It has to be at the Killiney Court Hotel when a fellow called ´Bullneck´ was asked to be on squeezing lemons for the day. He knew had to do the same job the following day and next morning he arrived at work wearing a pair of swimming googles! 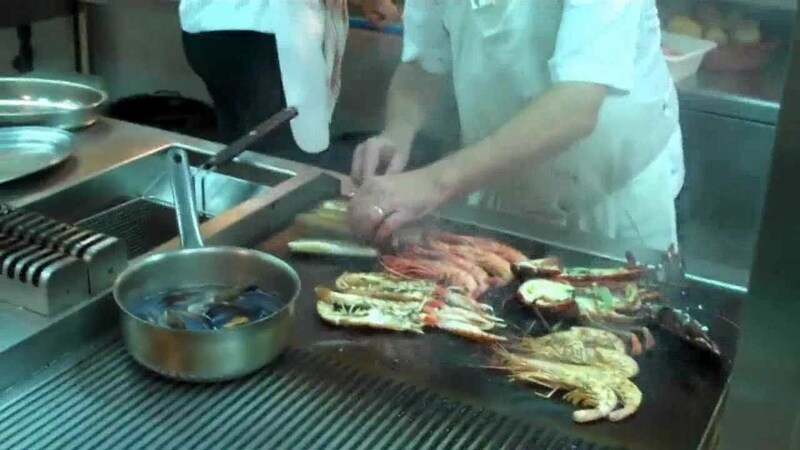 Fish, particularly turbot at the moment and prawns. What do you think is the most challenging ingredient to work with? Chipirones, a pain to prepare! Ribas White or, if someone else is paying, my favourite red wine is Vega Sicilia Unica (Gran Reserva, Ribera del Duero) at 180€ a bottle! Last night, steak, chips (hand cut and fried) and an egg. In Mallorca I think maybe we will see more farmers markets setting up bringing us more homegrown produce and moving away from the traditional town markets. What do you do in your spare time to wind down? I try to play football twice a week. It´s completely different every day and you can never anticipate. Whats your Desert island meal? Hand cut fried chips and egg and a pint of Guinness! 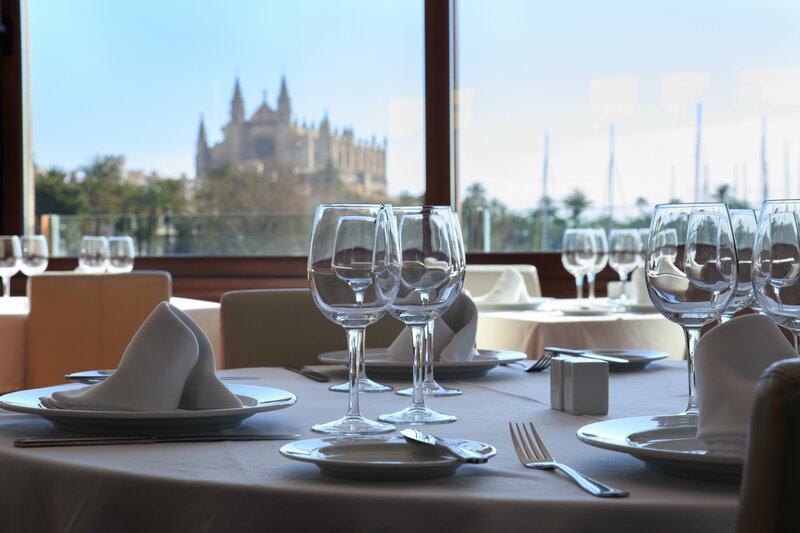 So, when you visit Palma next, don´t miss the chance to visit Johnny´s wonderful restaurant.